AMMONNEWS - Minister of Foreign Affairs and Expatriates Ayman Safadi on Tuesday met with senior UN officials attending a meeting of heads of UN political and peacekeeping missions in the region, which was held in Amman. They discussed cooperation between the Kingdom and the United Nations in efforts to resolve regional crises and address their humanitarian and security repercussions. Jordan, Safadi said, is keenly interested in cementing the fruitful partnership with the United Nations and enhancing cooperation to meet the needs of refugees. The United Nations officials said they recognized Jordan's role to promote regional security and stability and its humanitarian position towards Syrian refugees. They also reviewed other regional issues, including the Palestinian-Israeli conflict, which Safadi stressed is the core of tension in the region, and that it should be resolved on the basis of a two-state solution that guarantees the establishment of an independent Palestinian state along the lines of June 4, 1967, with East Jerusalem as its capital, and as the only way to achieve comprehensive peace. The foreign minister met on the sidelines of the meeting with UN Under-Secretary-General for Political Affairs, Rosemary DiCarlo, to discuss ways and means of enhancing an effective and important partnership between Jordan and the world body. 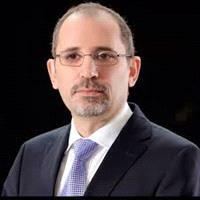 Also during his meeting with Jean-Pierre Lacroix, UN Under-Secretary-General for Peacekeeping Operations, Safadi said Jordan is proud of taking part in UN peacekeeping missions, stressing that the Kingdom supports the Secretary-General's efforts to ensure the effectiveness of these operations. Safadi also discussed with Special Representative of the UN Secretary-General for Iraq, Jan Kubis, the latest developments in Iraq and the UN mission's efforts to help the country restore security and stability, reiterating that Jordan stood by Iraq in its bid to consolidate stability and start reconstruction after defeating Daesh terror gangs.